It’s possible Marc Webb will tweet a photo from the set of The Amazing Spider-Man 2, which recently began production in New York City, every day the movie shoots. It’s clear that Oscorp, which was introduced in the initial film, will continue to be the driving force behind the threats facing Andrew Garfield’s Spider-Man. Peter’s parents worked for Oscorp. So did Curt Connors (Rhys Ifans), who morphs into the Lizard. And if the rumors of The Rhino come true, he’ll likely be a product of Oscorp experiments. Of course, we’re also going to have to meet Norman Osborn at some point … followed by his alter ego, the Green Goblin. The highlight of my year so far remains Webb retweeting my theories about the Amazing Spider-Man sequel and the places the announced villains might fall in the grand scheme of a larger Spider-Man universe. 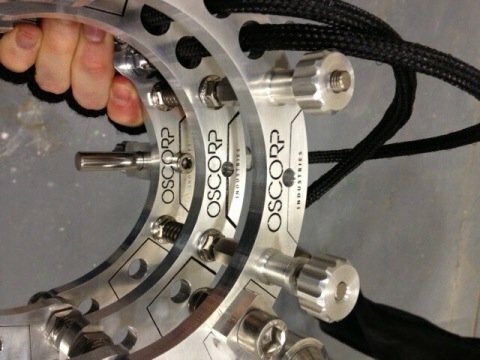 Oscorp, according to my theory, is the sun around which many larger Spidey planets have to revolve, and this photo from Webb seems to confirm it. The Amazing Spider-Man sequel just began shooting. It’s aiming for a May 2014 release date, with Garfield, Emma Stone, Shailene Woodley, Dane DeHaan, Sally Field and Jamie Foxx confirmed for its cast. Follow Webb on Twitter. He just might share something with us every day of the shoot.